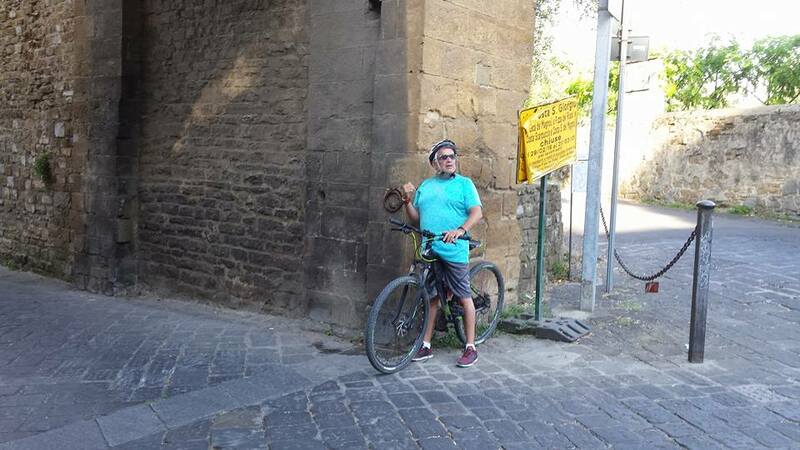 By booking this tour you can see around the whole city center on pedestrian paths with a professional hard tail mountain bike. 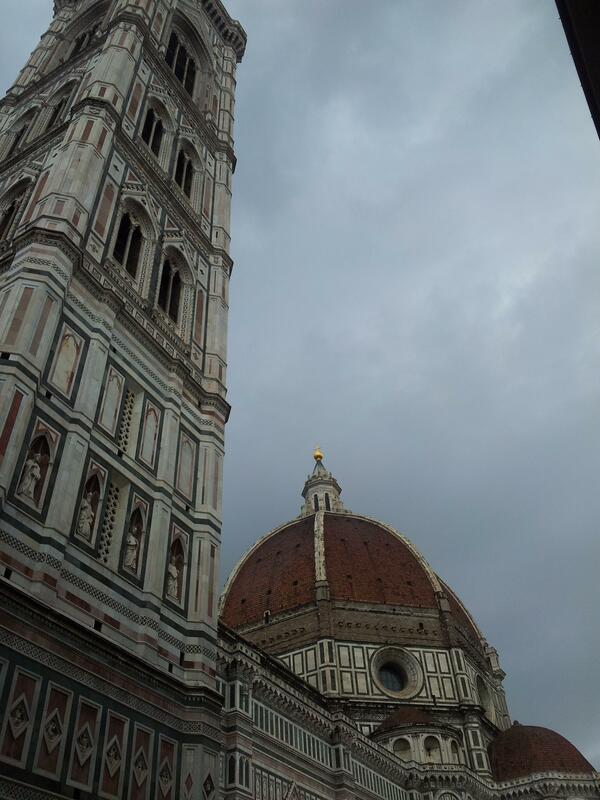 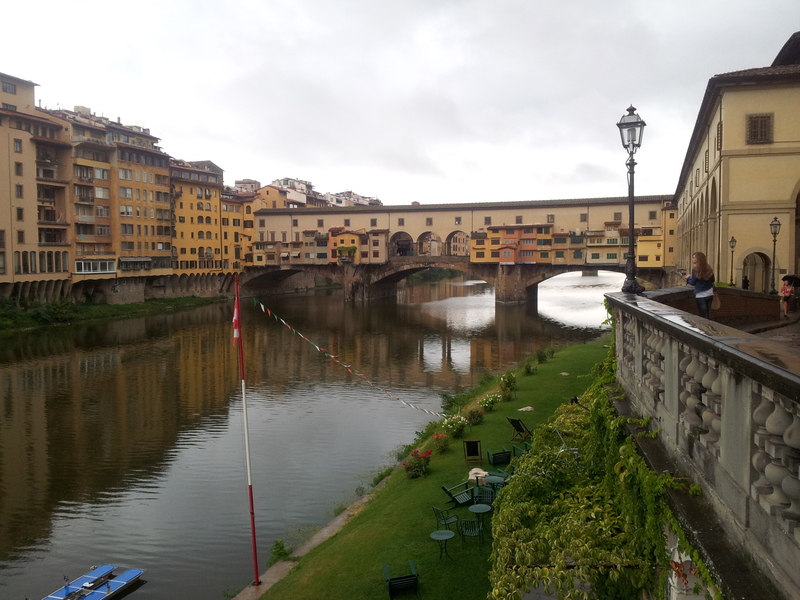 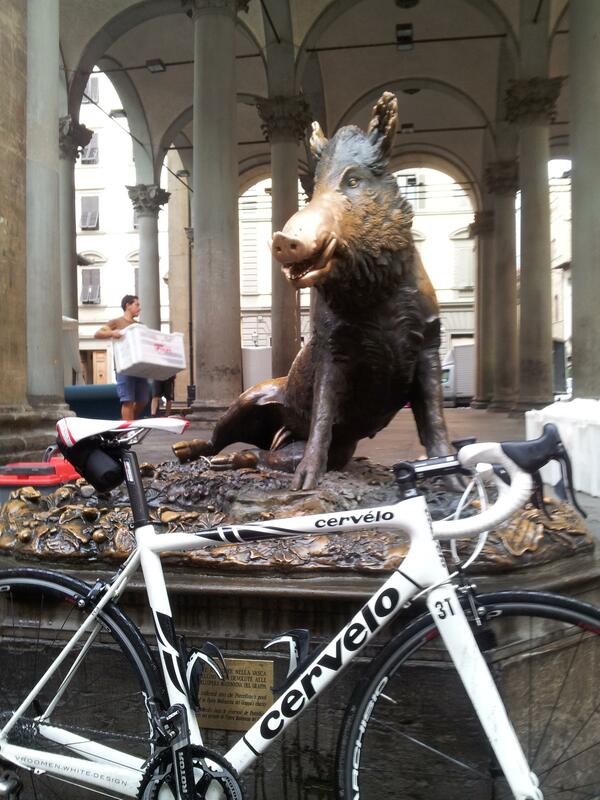 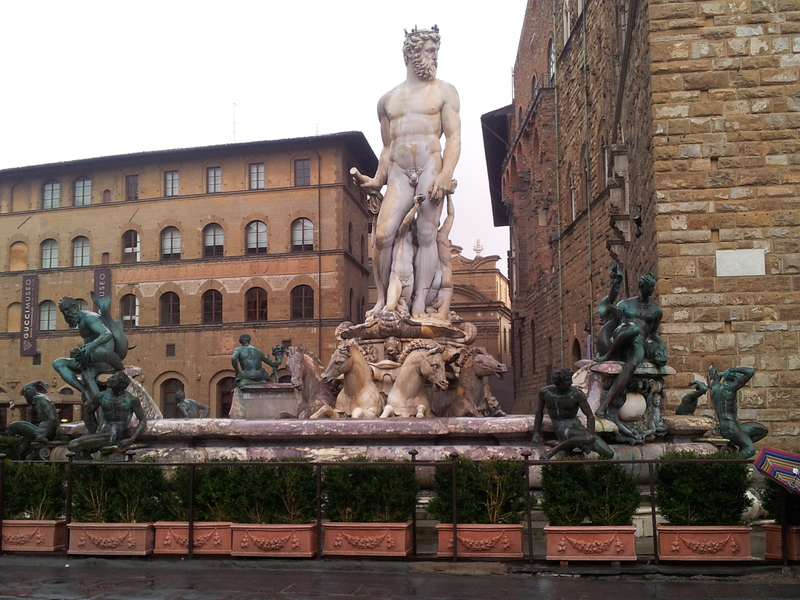 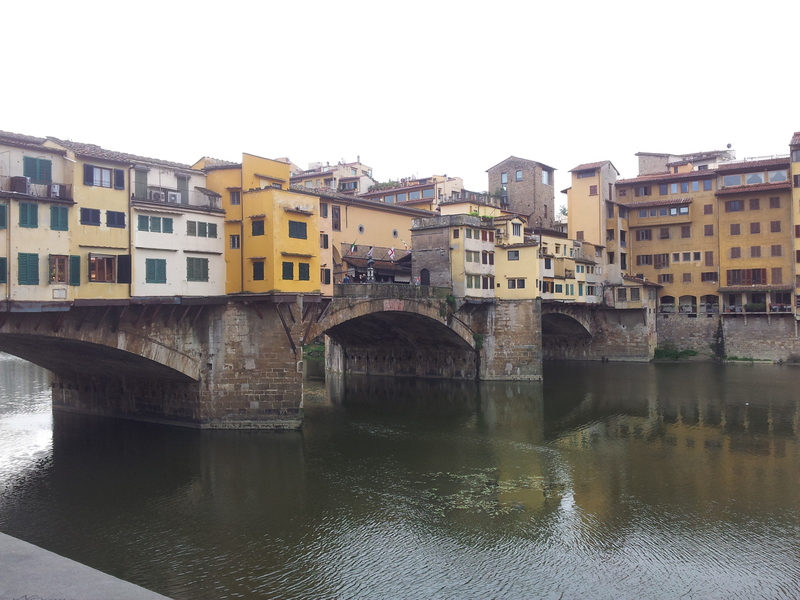 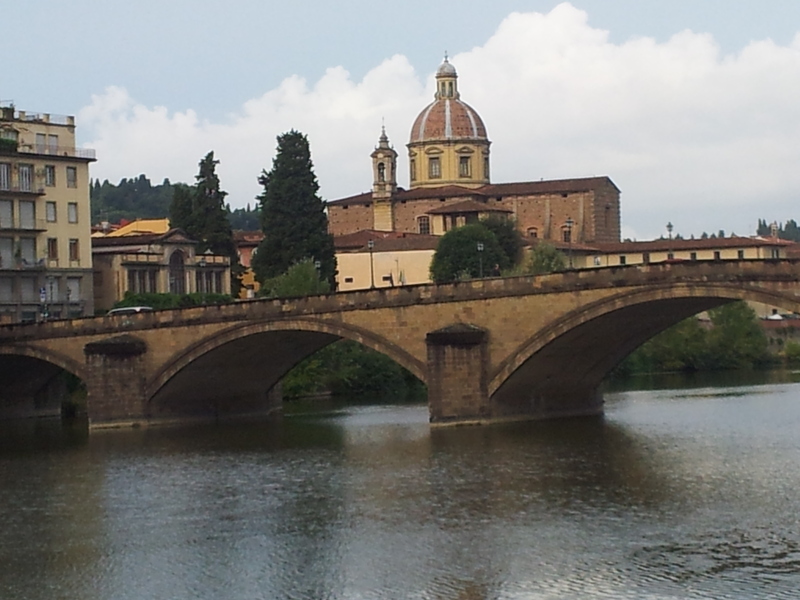 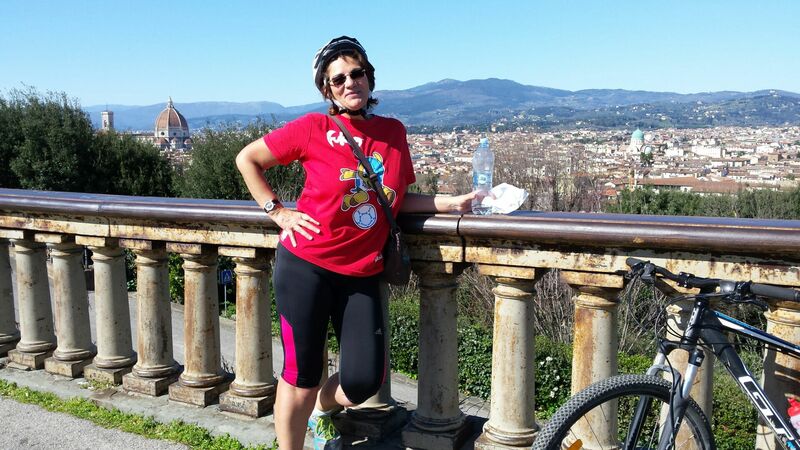 Florence is perfect for bike riding, it is almost completely flat and pedestrian, with narrow streets and hidden spots. 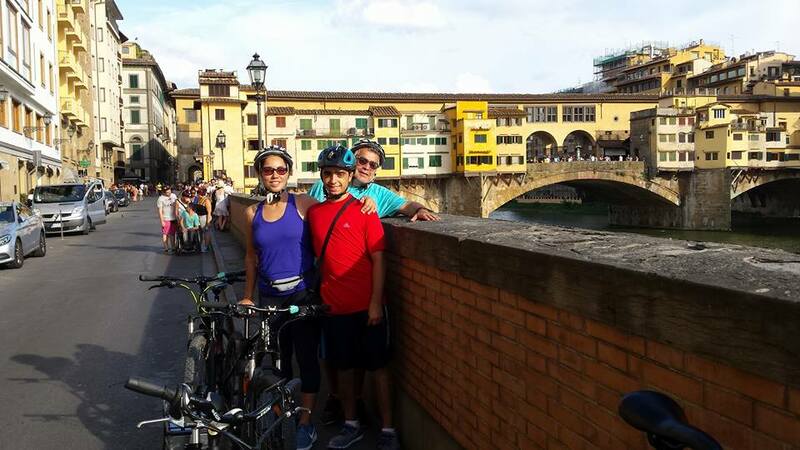 Visiting Florence by bike only takes just 2 or 3 hours instead 2 days walking. 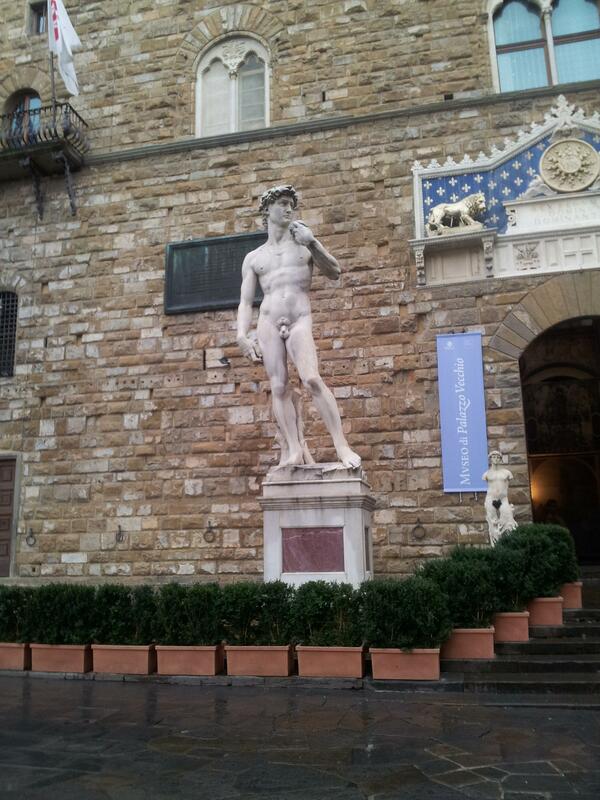 It could be a pain for your feet. 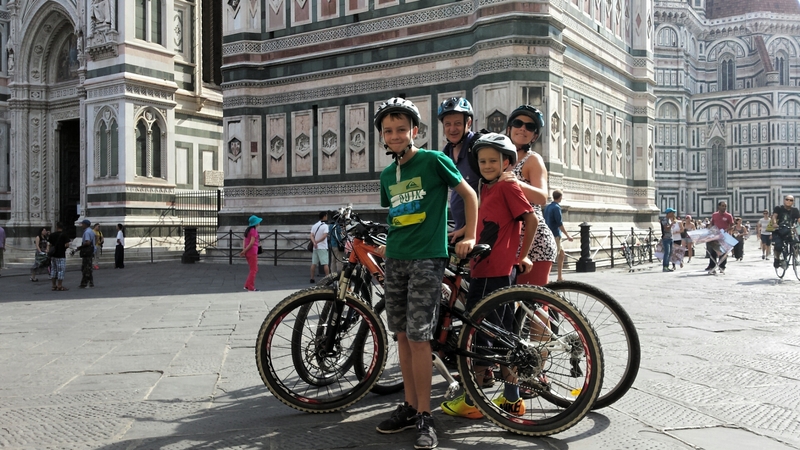 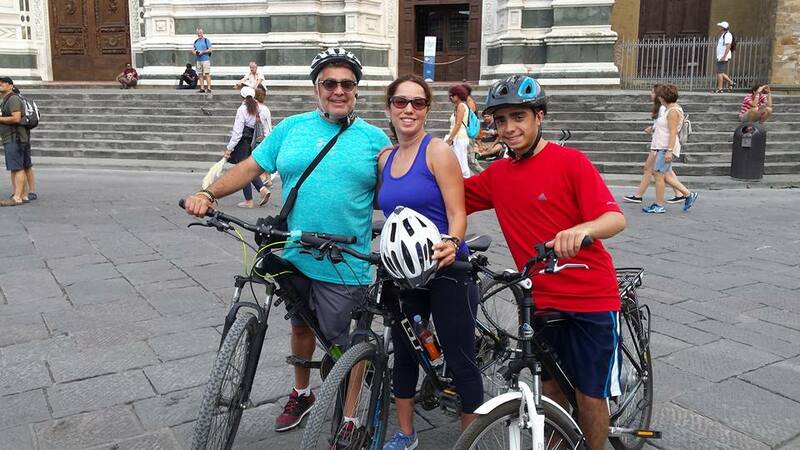 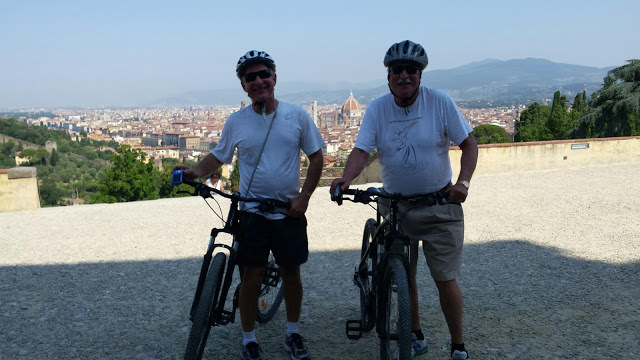 Cascine park, Piazza Signoria, Palazzo Vecchio, Michelangelo's David, Duomo and Battistero, San Lorenzo's church and market, Ponte Vecchio, Palazzo Pitti and Piazzale Michelangelo are the main monuments that we will visit by bike. 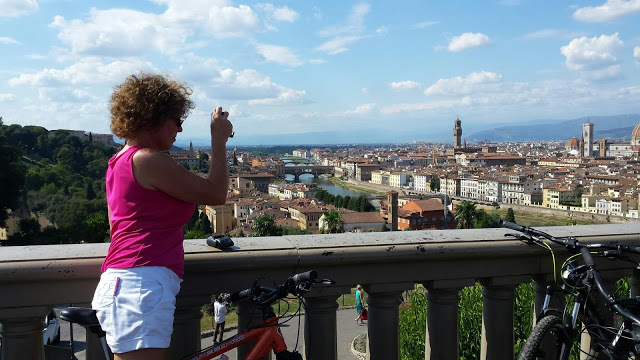 In a few hours you will be able to see the main roads and also the tiny streets and the gardens that you can't visit by car or bus, without rush, taking the time to rest and drink a coffe or taste an italian gelato. 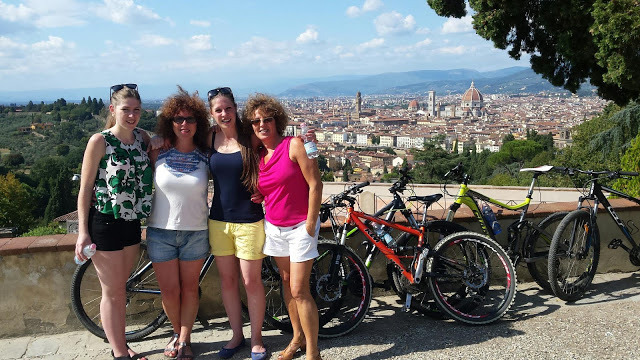 We can plan a stop in a Tuscan farm very close to the centre to taste some wine and food in a patio or inside the very old cellar. 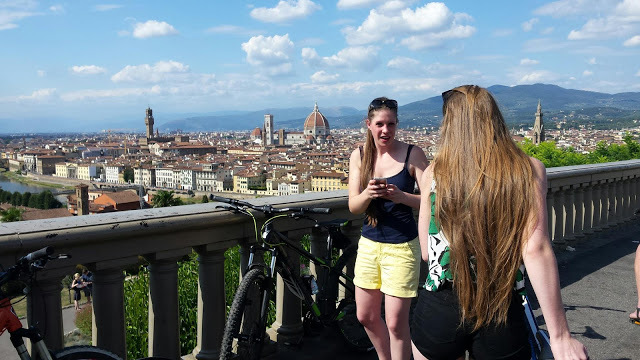 It will be a plaisure to climb the Piazzale Michelangelo and enjoy the stunning view from the top at sunset.